Famous author Clifton Fadiman once said, “If food is the body of good living, then wine is its soul.” And we at Manhattan Fruitier couldn’t agree more. We all have grown up hearing the basics “white wine with fish, and red wine with meat.” But there is so much more when you delve into what goes into pairing a meal with the perfect glass of wine. Over the next few posts, we hope to help you understand how to pair wine with food, and replace some of those worn out ideas about pairings. There are two main factors to consider when pairing food and wine. First, is the texture of the food, and by extension the texture of the wine. The four main categories we look at when breaking down texture is density, smoothness, heat, and effervescence (think when you eat popping candy). When deciding on a wine based on food texture, you want to have them complement one another. A useful guide is “light with light, and heavy with heavy.” A dense meal will often overpower and mute a lighter wine, and vice versa. Champagne and sparkling wines bring the fizzy texture we all love, adding another dimension to the pairing. The bubbles and higher acidity can help clean the palate from oily foods. A unique pairing is a glass of champagne with a hot dog! The sharpness and bubbles cut down the fatness associated with the hot dog texture. 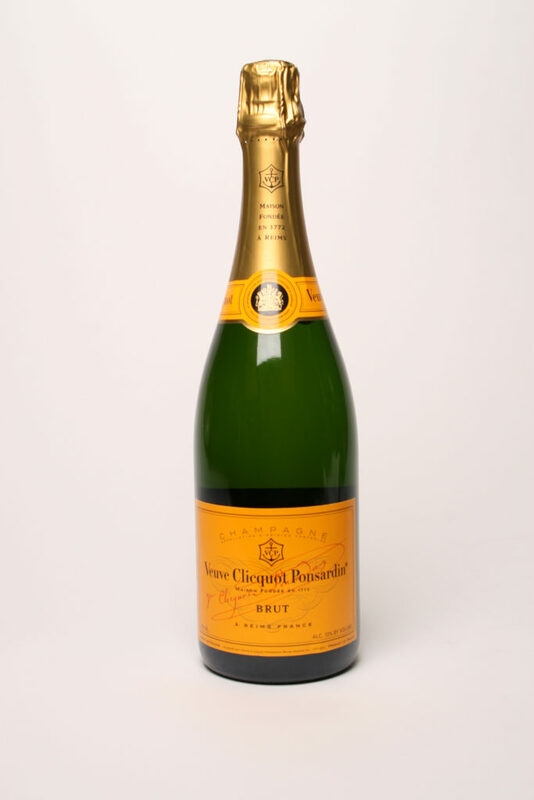 At your next summer barbeque try a bottle of Veuve Clicquot brut NV. The second factor you want to consider when pairing food and wine is the interaction between tastes. Sweetness: When thinking about sweetness, we’re talking about the residual sugar in both the food and wine. A sweet wine can moderate the acidity as well as the salt in food. When describing this combination, it’s best to look at examples like salted caramel popcorn and maple bacon. The saltiness binds with the sugar and they tend to balance each other out creating a harmonious blend of sweet and savory or acid. Further, the residual sugar in wine coats the tongue and protects it from some of the acidity in a dish, cutting down on a food’s sharpness. One of our favorite pairings is a sweet Riesling with Asian dishes. Acidity: Acidity, present in both food and wine, brings freshness by cutting through oily and creamy textures. This tends to increase the perception of body or fullness in both the food and wine. This is why Beurre Blanc Sauces are so famous: the acidity in the white wine cuts through the fatness of the butter. Next time you are serving a creamy or fatty dish, we recommend pairing it with a more acidic wine to bring some freshness to the meal. 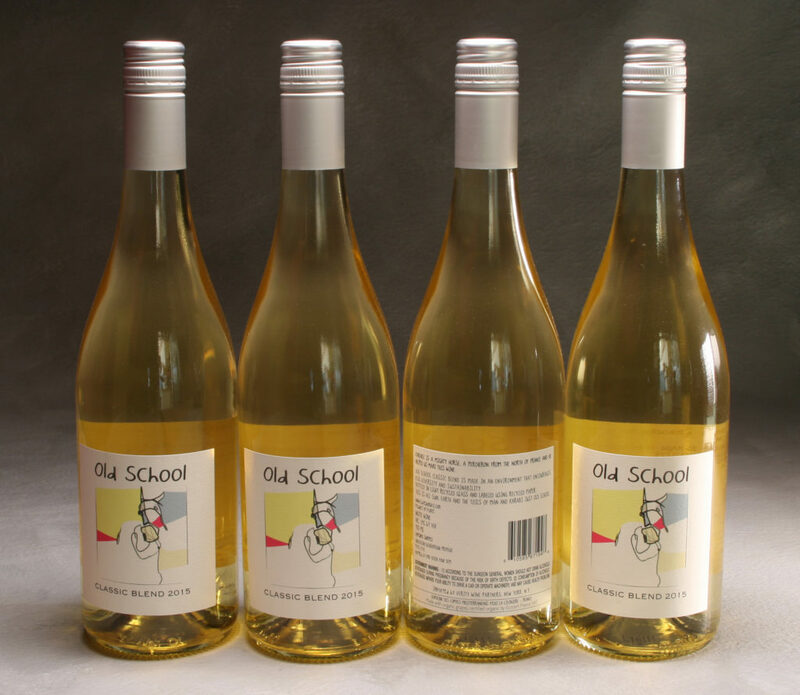 The acidity in Maris Old School Blanc is high enough to cut through fattier dishes, and has enough citrus notes to complement rich dishes. Saltiness: Saltiness is most often present in the food where it acts to decrease the perception of astringency, bitterness, and acidity in a glass of wine. A bottle of wine with a high malic acid can mask some of the saltiness. 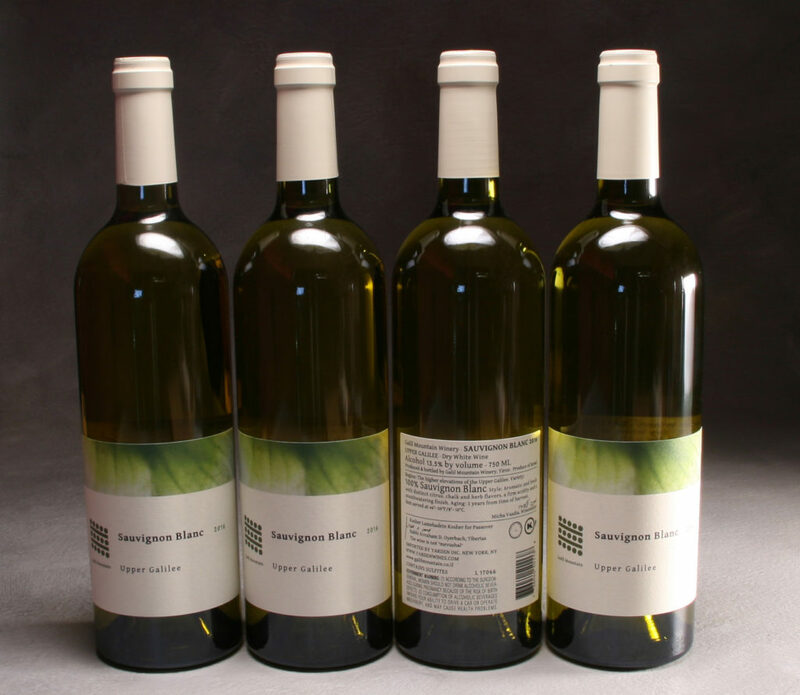 Our Galil Mountain Kosher Sauvignon Blanc pairs fabulously with salty dishes. The salt makes the wine appear less acidic, fuller bodied and less tart. Bitter: Bitter or tart wines are a challenge for pairing. A wine such as a Sangiovese may often have tart cherry like flavors. To complement this tartness, we recommend pairing it with a fatty food. This is what makes the red wine and steak pairing work so well together. The bitter tannins bind with the fatty protein in the meats to make the wine softer. 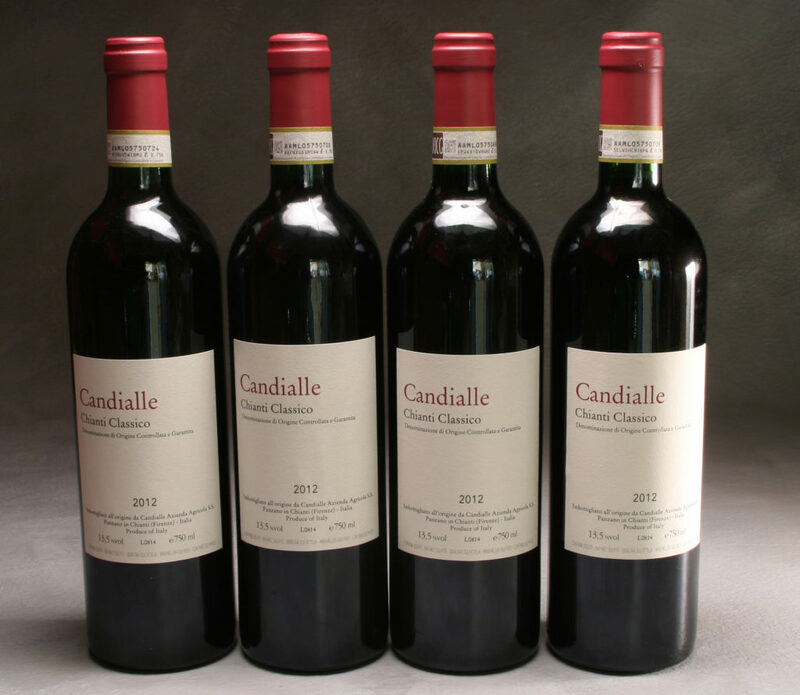 Our Candialle Chianti Classico, with its tart cherry and raspberry notes, pairs wonderfully with a steak dinner. Umami: Umami is heralded as the “fifth flavor”. The term was coined in the 20th century by a Japanese chemist named Kikunae Ikeda, who identified the distinct flavor of dashi, a popular Japanese broth. Ikeda discovered the elusive chemical, glutamic acid, or as we now know it today MSG, and named the taste umami, from the Japanese word for delicious. Umami is described as brothy or meaty, but that doesn’t quite capture the full experience. 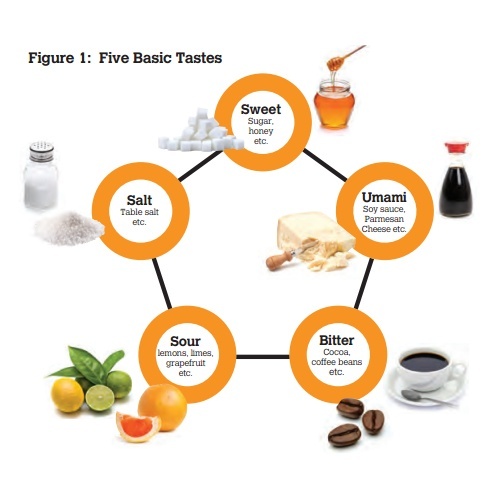 You can taste umami in foods like Parmesan cheese, seaweed, miso, and mushrooms. When it comes to umami, the Japanese know it best. They pair umami foods with sake because sake possesses umami characteristics. 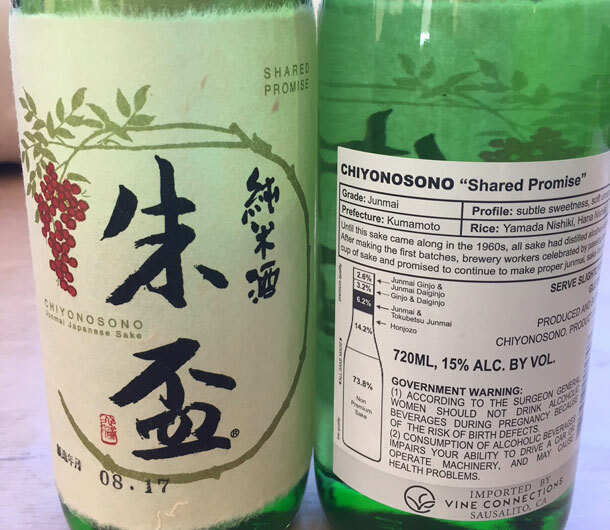 Our Chiyonosono Sake has subtle earthy and sweet notes that won’t overpower the dish. The wine mentioned in this article may be purchased on our website. Our wine & wine gifts can be delivered anywhere in New York State. Originally from Colorado I moved to London to study at Le Cordon Bleu. While pursuing my pastry degree, I fell in love with wine and studied under Matthieu Longuere, Master Sommelier. After obtaining my degrees, I relocated to Australia to hone my skills further. Now settled in NYC, I've joined Manhattan Fruitier to help launch the biodynamic wine and spirits retail location. This entry was posted in Wine, New Products, Tips & Advice. Bookmark the permalink.